Wavetable mode: special appearance of the sampling mode when playing a sample, the audio input is now used as a second control voltage input for moving through the sample in 256 byte wide loops (wavetables). To achieve the typical wavetable oscillator sounds the sampling memory must contain corresponding wavetable data (normally loaded via MIDI dump). These data contain a set of wavetables with different harmonic content (e.g. a filter sweep) to get the typical wavetable sound while moving through the tables via CV2. But you may also use a "normal" sample and go through the sample with CV2 to obtain partially amazing sounds never heard before. You may use for example sampled speech and go with CV2 through the syllables or speech shreds to get really very extreme sounds. 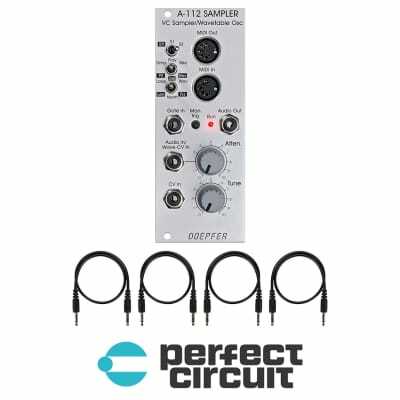 An ideal addition for this feature is the Offset/Attentuator module A-183-2 which can be used to adjust the position of the wavetable (Offset) and the modulation depth (Att.). 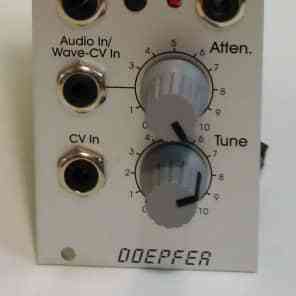 As modulation source an LFO (A-145, A-146, A-147, A-143-3), ADSR (A-140, A-141, A-142, A-143-1/2) or a random voltage (A-118, A-149-1) may be used. 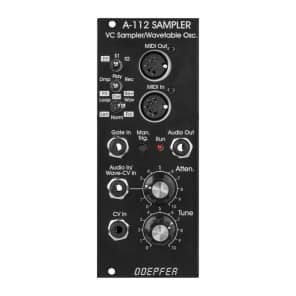 Even a ribbon controller (A-198 or R2M), the Theremin module A-178, the Joystick A-174 or the Wheels module A-174-2 are useful to drive through the wavetables. 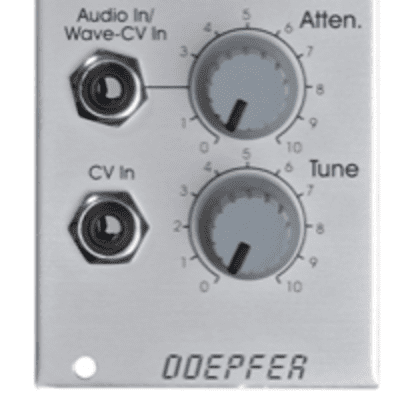 Effects: Additionally the module offers - in a way free of charge - some effects like delay, reverse delay, pitch shiftinng or freeze. 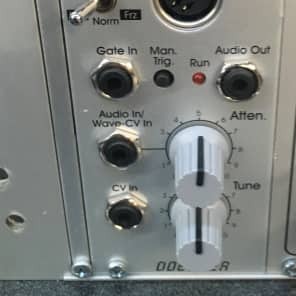 But it has to be pointed out that due to the 8 bit audio reolution these effects are not comparable to high quality effect units and should be understand as an extra for nothing. 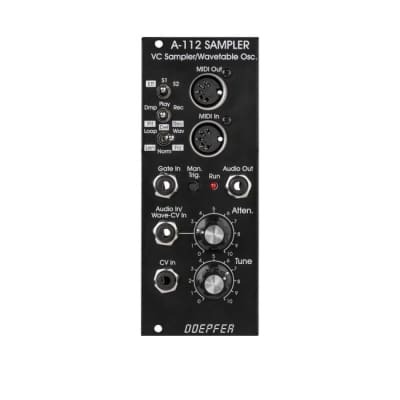 The A-112 is not an effects unit !